BUY NOW MAR. 27-31 – Seven Revels is an original Elizabethan adult comedy written by Nigel Knutzen in collaboration with Erin Thibodaux and Caitlin O’Connell. This fast-paced adult comedy takes on Elizabethan period playwrights such as Shakespeare, Marlowe, and Thomas Kyd, transforming their work and adding contemporary commentary. It poses questions about what acting is, and asks the audience to consider how some plays become so revered. It delves into the ever changing landscape of what “theatre” is and reminds us all to step back, to not take ourselves so seriously, and to enjoy each other and life; all through the eyes of the common people of the era. Did we mention everyone is drunk? So what could possibly go wrong? We invite you to recreate the sensation of Shakespeare’s Globe Theater by dressing up in period clothing and being a groundling! (ADA accessible- please click BUY button and select “Accessible Seating” as the prize zone or contact The Dairy for any specific needs). Find out how you can support this production and access presale tickets here! RPG is a concept Nigel Knutzen had been sitting with for years. He was searching for a new model of producing art that was rooted in the idea of artists supporting each other’s work regardless of their creative medium. A model that worked for and in service of the communities in which it operated. He decided that what he wanted to create was an ensemble based arts production company. But first he needed to find the right people! After graduating from Southern Illinois University Edwardsville with a B.S in Theatre Performance and a B.S in Anthropology, he set his sights on graduate school. A journey that saw him backpacking over 950 miles from Edwardsville, IL to Naropa University, where he now attends as an M.F.A candidate for Contemporary Theatre Performance. Upon meeting Bradford Rosenbloom, Erin Thibodaux, Caitlin O’Connell, and Amanda Greening he decided now was the time. 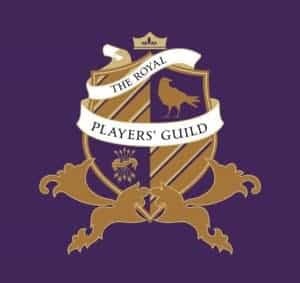 Their shared passion and ambition has fueled the creation of what is now The Royal Players’ Guild. Together we are determined to redefine the boundaries of what is possible in the arts. Due to our various backgrounds we decided the best place to begin was theatre. We got to work and began creating our original Elizabethan adult comedy, Seven Revels, which we are excited to bring to the Dairy Arts Center March 27th-31st. This production is extremely important to all of us. The success of this show will allow us to create an avenue and budget to create more work and to develop community arts programs. We are all personally invested in this show and its success. None of this is possible without people like yourself! Your contributions will go directly towards venue rental, costumes, props, and the hiring of actors and technical crew.